If you’ve been finding it hard to get out of bed in the morning, maybe it’s time to look at your current habits and decide whether you’re in need of a morning overhaul! The first few hours of the day set the tone for everything that comes after, so if you’re looking to seize the day, it might be time to start being more mindful about your morning routine. Rather than hitting the snooze button, why not try out these three small changes that you can make to your morning routine that will transform your entire day! Scroll on to read! 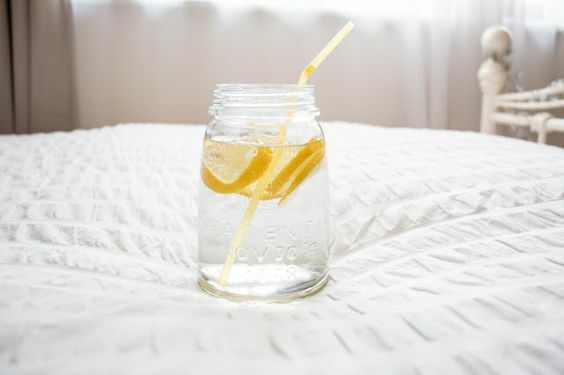 The very first thing you should do after waking up is drink a glass of warm water with freshly squeezed lemon. We get dehydrated overnight as the body takes care of its detoxification processes, so it’s important to hydrate and replenish first thing. It will provide your body with hydrating electrolytes in the form of potassium, calcium, and magnesium. The lemon juice also helps the liver to produce more enzymes, which support digestion and encourage the liver to purge toxins, and the vitamin C works as a powerful antioxidant, protecting against free radicals and strengthening the immune system. We recommend keeping your phone (and all technologies.. iPads, laptops, etc) out of the bedroom. Go old school and get an alarm that only does one thing – provide you with a solid wake up first thing! If you can’t live without your phone beside you then try to give yourself some screen-free time when you first wake up. Besides turning off an alarm that might be on your phone, resist the urge to check your email or social media. You should wake up slowly, away from the pressures that technology brings. This might mean disabling notifications on your home screen so you’re not tempted by that Facebook update or mounting emails… but trust us, it’s worth it. It’s important to get your body moving in the morning after being asleep for so long. Allow your body to stretch and warm up for the day ahead. So many people race out of bed and into their day without taking the time to do this. Whether you want to get down and pose on a yoga mat, or simply allowing yourself to stretch out in bed. Your body will respond and love anything from a simple stretched-out-legs-and-arms-overhead movement to a down-ward dog on your mat. Your body’s just been booted down for hours–you can’t expect it to be warmed up, energised, and raring to go right away.